If you need a recipe for cornmeal muffins that serves two people, this is the one for you. 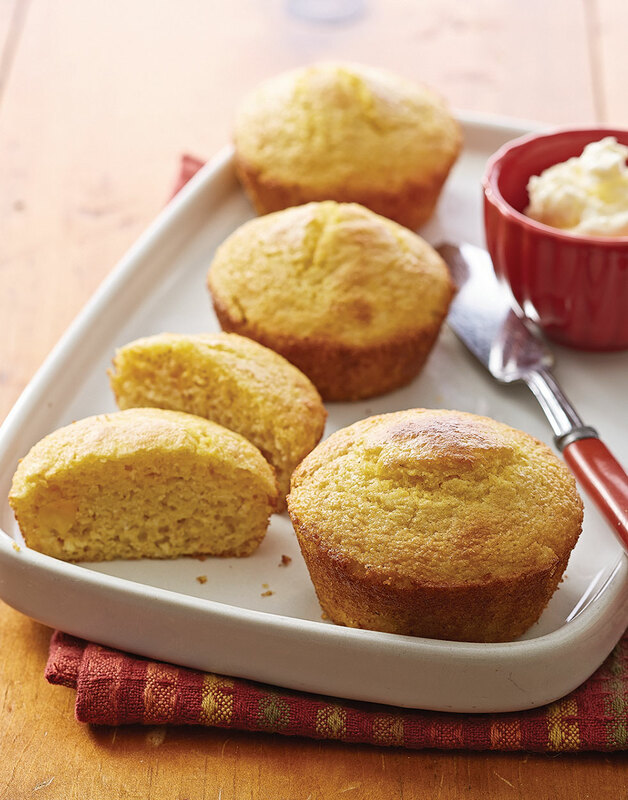 You get all the great flavor and texture of cornmeal muffins, but without all the leftovers. Preheat oven to 475°. Lightly coat four cups of a muffin pan with nonstick spray. Combine cornmeal, flour, sugar, baking powder, baking soda, and salt in a bowl. Whisk together buttermilk, egg, and oil; add to flour mixture, stirring just until combined. Stir in 2 Tbsp. corn; chop remaining 1 Tbsp. corn and stir in. Pour batter into prepared muffin cups. Bake muffins until a toothpick inserted in centers comes out clean, 12–15 minutes.